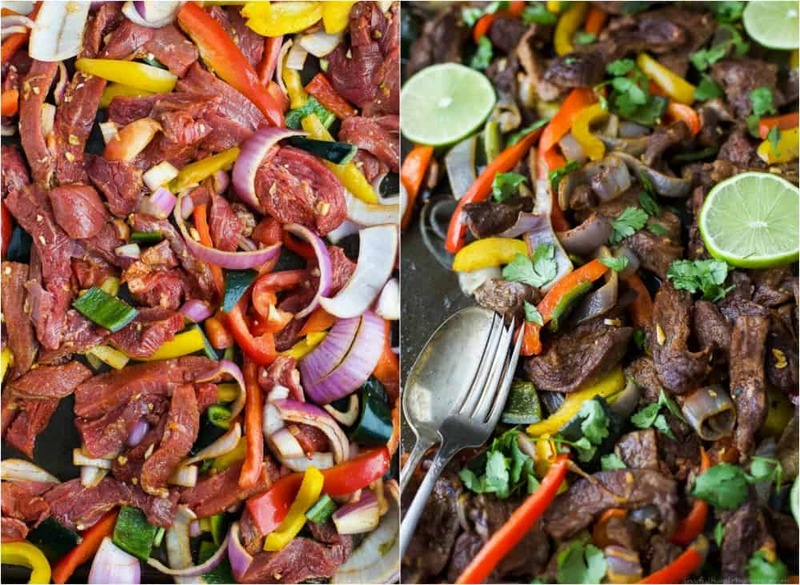 Easy 30 Minute Sheet Pan Steak Fajitas a delicious dinner recipe for the family! 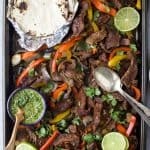 Easy 30 Minute Sheet Pan Steak Fajitas topped with zesty chimichurri – everything is made on one pan for easy cleanup. 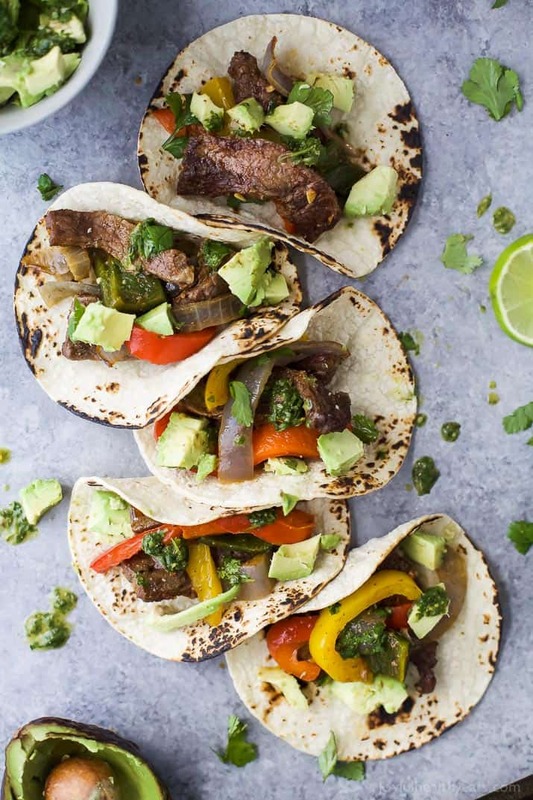 These Steak Fajitas make a healthy delicious dinner that your family will love! If you know me at all, you know that there is one thing I can’t live without. Tex-Mex food. I am completely obsessed. I would have tacos every day if I could! And honestly, so would my family. I have passed my tex-mex obsession down to them. 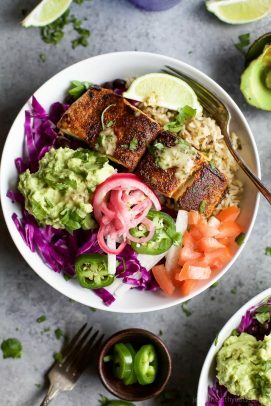 Not by choice, more out of the fact that they eat what I put in front of them and what I make is mostly tex-mex inspired meals. 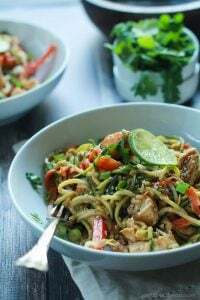 In fact, recently we went over to a friends house to hang out and ended up going to the grocery store to make stuff for dinner. 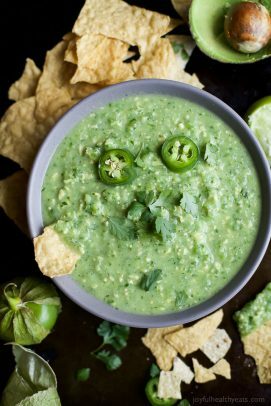 She said, we know that if we have you guys over all we need is guacamole and you’ll be fine. So so true! Even my son is a guac-aholic. When we go out to dinner at a Mexican restaurant he orders lemonade and then guacamole promptly after that. I think part of my tex-mex obsession came from Bobby Flay. He is my culinary heart throb. Pretty sure I would pass out if I saw him in person. 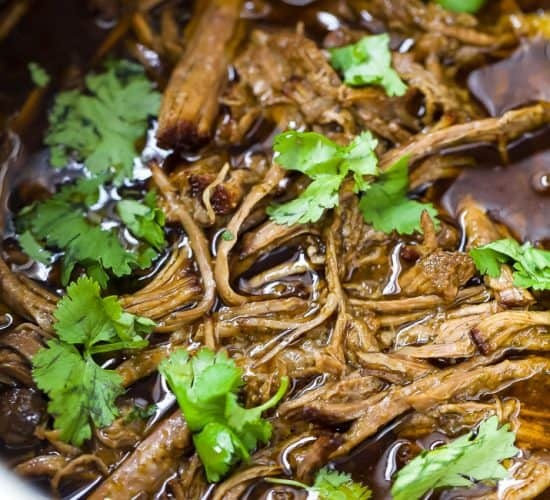 When I first started cooking, I made a lot of his dishes, which leaned more towards the latin food vibe. I became very familiar with those flavors. 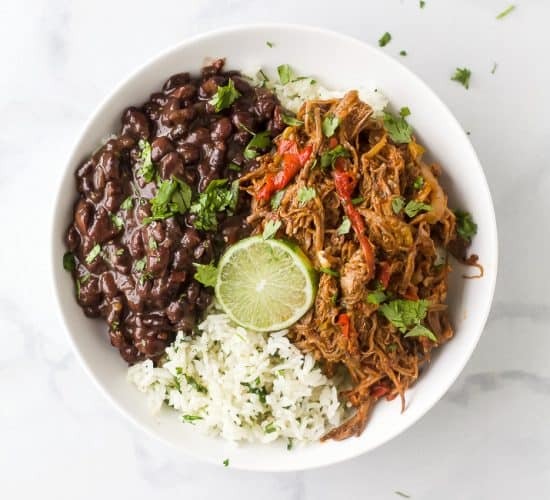 Latin American dishes are so flavorful and versatile and if you have a grasp on how to use some of the key ingredients you can make just about anything! The other thing aiding to my tex-mex obsession is the fact that we live in Texas. Ahemm… Tex (short for Texas) Mex (short for Mexico)… gosh I’m so educational. 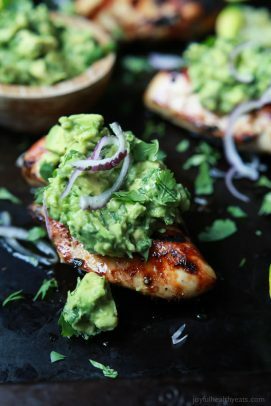 Basically tex-mex is an American twist on authentic Mexican food. Some people love it, some people hate it because they like the authentic. I fall in the first category or maybe somewhere in between the two. 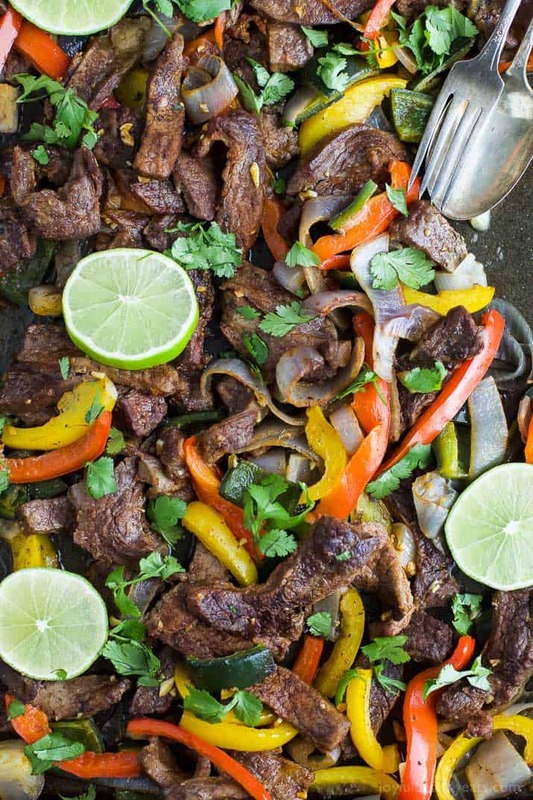 These Sheet Pan Steak Fajitas could not be easier to make. Just slice up the steak, peppers and onions … season them and put them in the oven for 15 minutes. Voila… “ready to eat” delicious steak fajitas! Whenever I make tacos of any kind, my go to condiment of choice is usually not salsa. 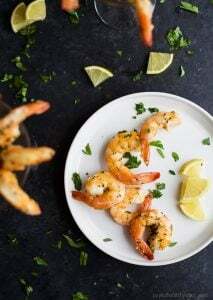 It is a fresh vibrant sauce called Chimichurri which is made with lots of fresh cilantro, lime juice, garlic and red pepper flakes. Once you try this stuff I guarantee you’ll be addicted! It’s amazing! Can’t wait to hear what you think of these fajitas and how easy peasy they are to make AND cleanup! Bon Appetit friends and happy Easter! 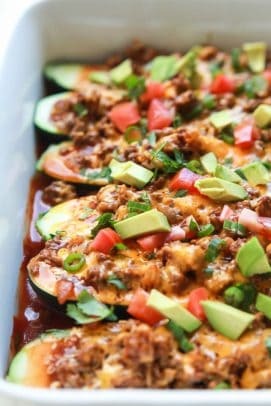 To a small bowl add minced garlic, smoked paprika, cumin, salt, ancho chili powder, olive oil and lime juice. 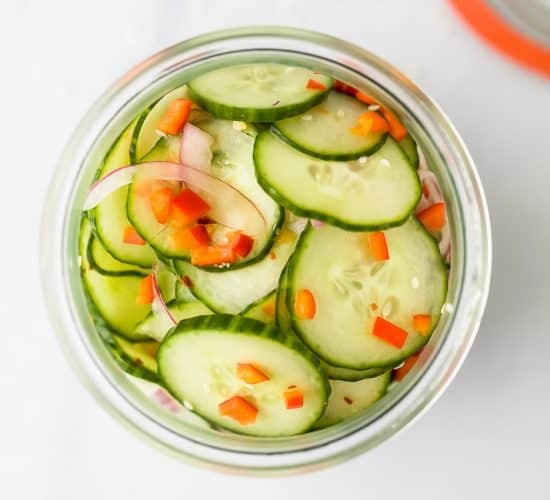 Whisk to mix everything together. To a large ziplock bag or a large bowl add sliced steak, red pepper, yellow pepper, poblano and red onion. Then pour spice marinade on top of it and toss everything around. Let sit for 5 minutes. Pour mixture out onto baking sheet and bake for 10-15 minutes. Tossing halfway through. Remove from oven and switch oven to broiler HIGH. 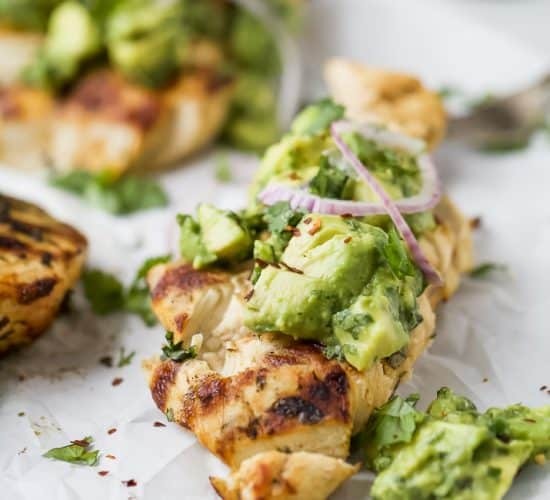 Place sheet pan back under the broiler for 3-4 minutes. Remove and let sit. In the meantime, to a small food processer add garlic clove, cilantro, red wine vinegar, lime juice, olive oil, smoked paprika, red pepper flakes, salt and pepper. Blend until the cilantro is finely minced and the mixture looks like a sauce. 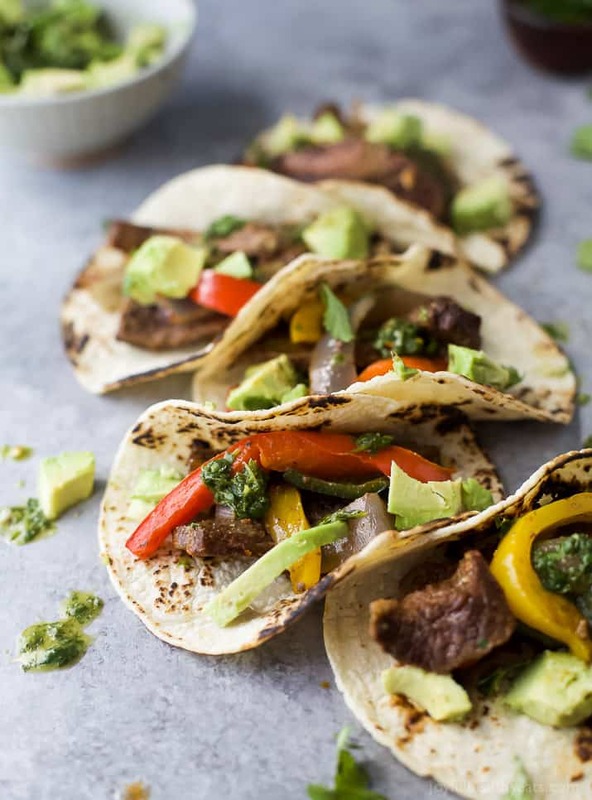 Serve steak fajitas on corn tortillas or rice with homemade chimichurri sauce. 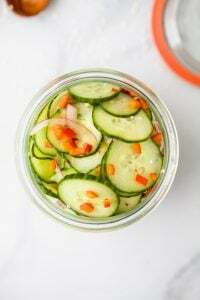 Looks delicious and just 30 minutes…yes please! 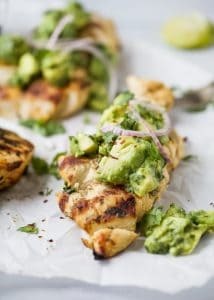 I’m a sucker for a good sheet pan meal! This one definitely looks like a winner! 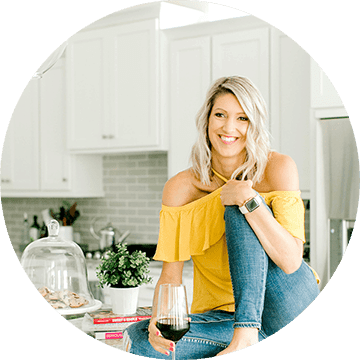 We eat a lot of chicken in our house so this will be a fantastic way to change up our dinner routine! Bonus that it’s minimal clean up! 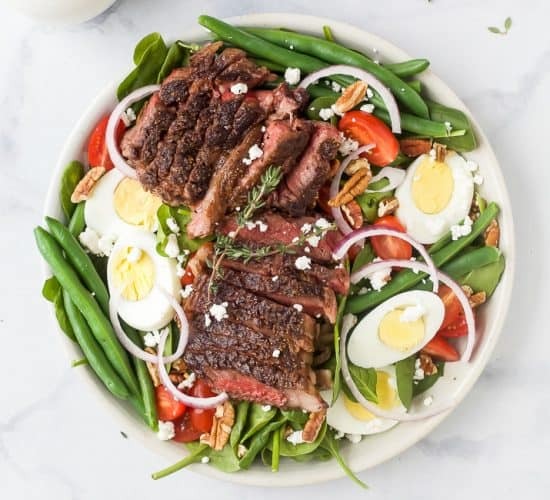 One pan meals are the best.. and my husband definitely appreciates the steak change up! Steak fajitas are my favorites! Yummy! 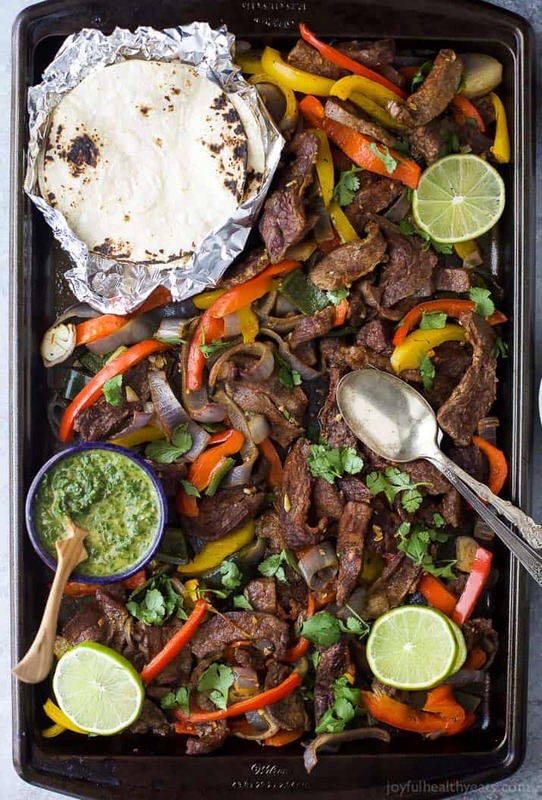 Sheet pan fajitas are such a genius idea!